Prospects of Goods and Services Tax (“GST”) becoming a reality from July 1, 2017, brightened further with the GST Council clearing the legally vetted draft of the GST Compensation Bill, in its 10th meeting, held on February 18,t 2017 at Udaipur. The GST Compensation Bill seeks to stipulate the manner in which States will be compensated in the event of a loss arising in the first five years, due to the implementation of GST. “The GST compensation law, that if a state has a loss, then for the first five years they will be compensated, the legally vetted draft has been formally approved by the GST Council...It will go before the Cabinet, which will give its approval and we will seek to place it before Parliament in the second half of the Budget session starting on March 9”, Mr. Jaitley said during a press conference. The GST Council is now expected to approve three other laws viz. 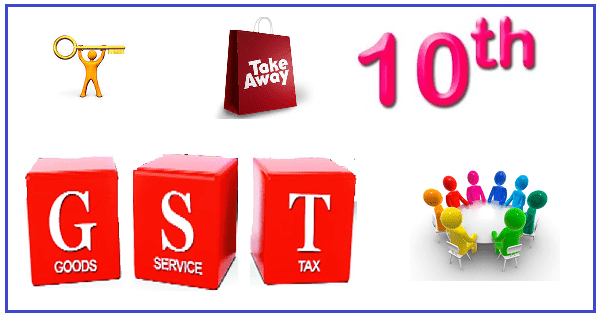 IGST, CGST and SGST, when it meets on March 4-5, paving the way for the legislations to be brought to Parliament by around March 9 i.e. in second leg of the Budget session. The Finance Minister said that the vetting of the legal language of the CGST, SGST, and IGST laws raised a few issues that needed to be clarified to the legal committee of the GST Council. Some of the issues included the eligibility of membership to the appeal tribunals in the Centre and States, the delegation of powers, the exemptions that can be given during the transition phase, the treatment of work contracts where Service tax and VAT is applied, and issues related to the definition of agriculture. “These issues came up during the time of legal vetting of the draft laws, and the legal committee has received its clarifications from the Council….The legal committee will incorporate these changes and on March 4-5, the GST Council will meet again in Delhi and approve these laws.”, Mr. Jaitley said. The decision on categorisation of goods in tax slabs (5%/12%/18%/28% and 28% with Cess) is not part of the law and will be worked out by the GST Council after the enabling laws are passed. Mr. Jaitley said that they would require one more major meeting of the Council to give its approval to the specific items in each of the slabs. Mr. Jaitley said that the issue of anti-profiteering did not come up for discussion during the meeting. The Finance Minister added that the GST Council has decided against giving additional powers to the Comptroller and Auditor General of India (CAG) under the Indirect tax act. “CAG is already empowered under the CAG Act to call for any information from the government in relation to public finances. Under the taxation law, it need not be separately given. The income tax act has not given any separate powers to CAG. Why should there be any separate powers under the indirect tax act?” said Mr. Jaitley. As per the sources, there were clashes between the Centre and the States over the drafting of minutes of the previous GST Council meeting, which held up the deliberations at Saturday’s meeting. The dispute over the minutes related to the wordings over the division of new registrants, permission to States to tweak division of taxpayers after consultation with the Centre and referral of disputes relating to imports and exports to the Centre. The minutes of the 9thmeeting of the GST Council, held on January 16, 2017, had recorded that the States have been given the concession to change the formula over and above the agreed upon 90:10 division of tax assessees below the annual turnover threshold of Rs 1.5 crore between States and Centre, respectively, and an equal division of assessees for a turnover of above Rs 1.5 crore, after consultation with the Centre. Also, it had said that the GST Council had approved equal division of new registrants. Indeed, the approval to the Draft Compensation Bill, is a positive development, on way to GST implementation, as it was one of the contentious issues. Another good signal was that the political differences over demonetisation that hampered negotiations seem out of the way. All eyes will now be on next meeting of the GST Council on March 4-5 to see formal approval to the Draft Laws. Central laws would then be put up before the Parliament in the second leg of the Budget session, starting on March 9, 2017. Focus shall also remain on the fitment of items in GST rate slabs which will play the major role in preparation of the Industry.